So following blizzard tradition of giving blizzcon attendees a special pet continues but this one might be considered a cop out. The pet apparently does not have its own animation set for it, otherwise known as emotes. The pet copies all the same ones of the grunty pet. On top of that the pet has the same sounds as the pet grunty to. 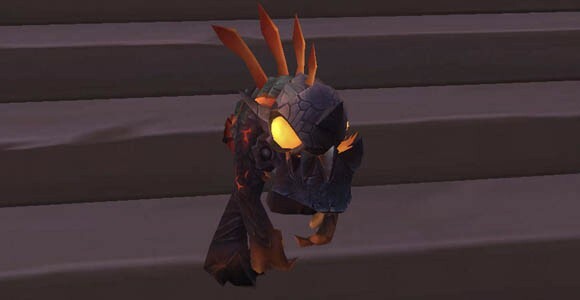 Also his animations at times seem to be the same as the murloc pet. This seems like a pretty big deal to most players. When you are paying 100 plus dollars for an event and you know you’ll be getting some neat things to go along with it. Well it can be pretty annoying when you get a pet that just has a different skin but everything else copied from things that are already available on the market. Well here’s hoping blizzard reads this and decided to fix this mistake and give players some more originality that they want.